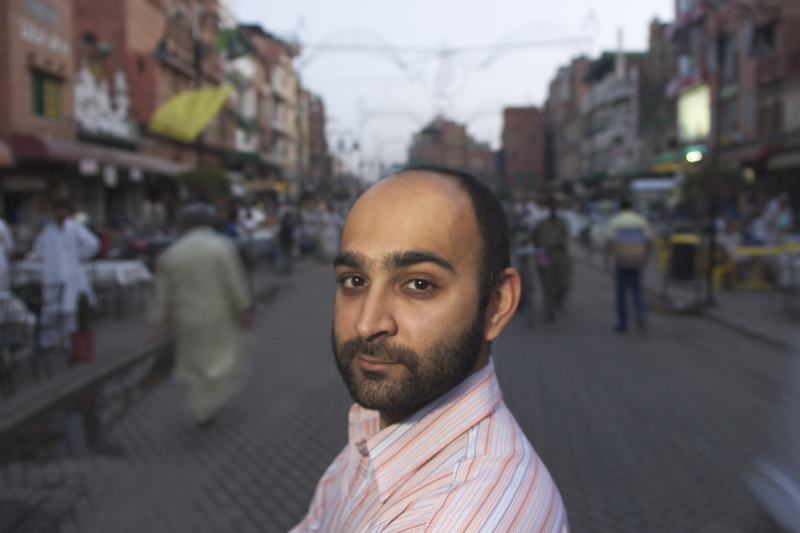 Mohsin Hamid is a novelist based in Pakistan who has written five books. Four are novels, including ‘The Reluctant Fundamentalist’ and, most recently, ‘Exit West’, and a collection of essays called ‘Discontent and Its Civilisations’. He also wrote a great article called ‘On the dangers of nostalgia: we need to imagine a brighter future’, which argued that writers needed a “radical political engagement with the future”, a phrase I loved. We spoke via Skype. We seem to be moving to a place where there’s a growing consensus that the future is going to be really terrible, which you mentioned in your piece. More and more people seem to be retreating back into saying that somehow the 1950s were some kind of Golden Age. When did that start? What’s your take on why we seem to be seeing nostalgia so coming to the fore? We’ve seen it come to the fore before. This is not the first outbreak of nostalgic thinking or widely prevalent nostalgic thinking. But certainly it’s more universal, or at least widespread, than probably it has been before. Societies have, at different moments, felt nostalgic. But at a worldwide scale for so many people in so many countries to be feeling politically nostalgic I think perhaps is unprecedented. There are a number of reasons for it. We have come to fear the future. We have come to lose many of the structures and systems that we had to be less afraid of the future. We are being told that we should fear the future. We become more fearful, in part because we exist in a media information environment that is continuously barraging us with information that is supposed to be critical. For that information to be critical, it needs to be information that is of vital importance to us, and for it to be that, it is information about terrible things that could happen. So the news media, social media, etc., is full of negative information. Now individual pieces of negative information may or may not be false, but the overall effect of so many pieces of it is to give us a skewed sense of danger and risk around us, and put us into a hyper anxious state. So although worldwide violence and violent deaths per capita are diminishing and have been for a long time, and the gap between the education of girls and boys is diminishing and has been for a long time, and the amount of calories consumed by the poorest third of the planet is increasing per capita, and has been for a long time, we somehow don’t think that our world is getting better. We think it’s getting catastrophically worse. And so the human biological design, like any animal I suppose, means we treat threatening information much more seriously than we do non-threatening information. So we can get 10 pieces of good news, or have 10 smiling hellos as we walk down the street in the morning, but one piece of bad news, or one racist comment, or one obscenity shouted our way, will drown out 100, or even 1000 pleasantries. Because for an organism the risk of being eaten by a predator is something that deserves being treated with enormous seriousness. Illustration: Eric Petersen (The Guardian). But in nature perhaps such signals aren’t so common. People didn’t see flashes of coloured fur that might indicate a tiger hiding in the trees all that often. But when they did they reacted very heavily. But now when you turn on your phone, or you turn on your television or your computer, immediately you begin to be hit with that kind of information. Part of the reason why I think this is happening is we have entered into a situation where the market forces that are competing for our attention have stumbled upon, and now are actively plugged into, the basic truth of our design, which is that we give attention to bad stuff. And so we’re getting incredible amounts of bad stuff sent our way, and in the process losing all sense of proportionality and therefore stumbling into a retro utopian perspective. Do you think that movements trying to raise awareness around big issues like climate change, who’ve emphasised the terrible things that are going to happen rather than the opportunities that would arise from doing something about it, have rather backfired in terms that it’s meant people have retreated into nostalgia rather than moving forward into a future that feels optimistic? I wouldn’t necessarily put the blame on movements like those who warn us of the dangers of climate change. I think what’s happened is a loss of proportionality. So the impact of climate change is likely to be much more devastating than so many other things we worry about that consume equal or perhaps even larger shares of our attention span. But it’s not necessarily the case that people with different movements are doing the wrong things, like drawing attention to famine or climate change or injustice in various forms. Those are all entirely appropriate endeavours. It’s that the way in which we are learning about this, the context, the social media technology environment in which we are cocooned, is profoundly unhelpful and destabilising to human beings. If you’re in the information technology business, fundamentally you require people to believe the information is becoming more and more valuable. To create that feeling that they should be paying more attention and therefore time – because time translates into money – to information, you keep building up the stakes. And so now we are surrounded by all kinds of disproportionate senses of threat. So in America for example the idea that Muslim migrants are likely to kill you as an American citizen, viewer, receiver of this information is, while not necessarily unfounded in some kind of fact – of course some Americans will be killed by Muslim migrants – but they’re probably much more likely to be killed, even by capita, by non-Muslim American citizens, and even more than that by smoking and driving in automobiles. Everybody wants our attention and our time, and to get it, they’re shouting louder and louder and louder and louder. They’re desperately trying to tell us that things are wrong. But in the same way that for one baker to invent a delicious cookie, that mixes salt and sweet flavours, that is designed to excite our taste buds and make us eat more, might be good baking, but when everybody is doing that, and the entire food supply that’s reaching us is reaching us in a form designed to bypass our natural sense of satedness, when we are satiated by the food that we eat, then we become obese. And a similar thing is happening in the information domain. We are suffering from a kind of information obesity. In the same way that the caloric value and the nutritional value of what we eat has almost nothing to do with how we’re eating in many parts of the world today, similarly the information that we’re consuming has very little to do with our well-being or what’s happening on planet earth. It’s just pushing buttons, really. I think that’s fundamentally dangerous. How would you assess the state of health of imagination in our culture in 2017? It’s a difficult thing to assess. I don’t know if I’m in any particularly good position to assess it, but I think our sense of imagination probably is as good as ever. People have had imagination, it’s a human faculty, facility, predisposition, passion, whatever you call it, for a good reason. It allows us to respond to constraint. It allows us to create solutions to things we didn’t have solutions to. It allows us to not be bored. It allows us to imagine futures that are not bound by the tyranny of the past and the present. I suppose it seems to be that there’s no reason to think that our collective imagination is any weaker than it has been. But to what extent is our individual imagination helping us to get out of these problems? It might be that our individual imaginations are being constrained by an environment where in a way this sort of information, news, media market place is profoundly unregulated and out of whack. In the same sense that when you have a world full of monopolies it’s very difficult for a worker to command the kind of wages they might have if there was a competition for the services of that worker. In the same way, I think in a world where we are being bombarded by information in this way, it might be more difficult for individual imaginations to come up with solutions to these problems, or quirky ways of thinking about things. But I’m not sure that’s the case. It could well be that that’s not the case. I don’t think we are facing a crisis of imagination. But we are certainly facing a crisis of imagination in the political domain. I think in the political domain we are seeing a real failure of that. People are struggling to articulate ways forward that don’t look like the past. The reason for that is because we are so afraid, for the reasons talked about earlier in our conversation, that politicians are responding to that fear with nonsensical policies. Whereas it might be that the first order of politicians should be to say, “We don’t need to be that afraid. The world has everything it needs to tackle the problems that it has. There’s no reason to imagine that in a century hence, our great-grand children won’t be living in a much more equitable, prosperous, gentle, decent world than the world of today. Let’s head in that direction.” But it seems like just saying that is to fly in the face of so much commonly accepted wisdom – false wisdom – that people aren’t saying it. You wrote in your piece in the Guardian that “other imaginations from other human perspectives must stake competing claims”. What did you mean by that? As a novelist it’s very important for me personally to begin to articulate futures that aren’t this apocalypse but are also profoundly different from today. In ‘Exit West’, my most recent novel, it’s a novel about the migration apocalypse. It asks what happens if everybody can move? And what happens obviously is a great deal of change and trauma, but in the end, people find new ways of being and falling love and finding stuff they enjoy and building communities, and the world goes on as it always has, because we’ve always been migrating. It’s only a very tiny moment in human history where we have these nation states with borders that we imagine can be enforced against movement of people. That’s an incredibly recent and brief phenomenon. It’s unlikely to last. Imagining a world beyond that is what I set myself as a task in my last novel. In the Guardian, you called for a “radical political engagement with the future”. It’s a beautiful turn of phrase, and I wondered if you could just explore a bit what that might look like? I think everybody will approach this differently, and certainly for storytellers and for artists it’s something that’s very important. But for human beings and citizens it’s also very important. When I’m talking about a “radical engagement with the future”, engaging with the future first of all is to believe that we do have some individually small but still present degree of authorship over that future. We will each, to some extent, shape it. It will be shaped by us collectively. Which means that we shouldn’t abdicate the shaping of it to those larger, more powerful, or better connected than ourselves. It’s not for Donald Trump and Nawaz Sharif, and Theresa May to shape the future of planet earth. It’s for the 7 billion of us who live here. Engaging with the future in that sense, imagining that we are willing to author it together as opposed to having it given to us is important. And “radical” is to say that we should be ambitious and slightly crazy and idiosyncratic about how we think that future could be. It shouldn’t just be a future imagined by politicians, technologists and people on the violent political fringe. It should be something very different. At the level of migration certainly I would be more comfortable morally with a world in which we do not discriminate on the basis of place of birth. The world would be more comfortable as a place because right now we are seeing societies buckle in Europe and North America in particular, where people are being told that everyone is created equal. A fundamental foundational principle of western liberal democracy is that notion. And yet, we don’t believe it, because if some kid is born in Mogadishu they don’t get to come to Frankfurt, or New York, or London or wherever. So do we believe in this principle or not? I think we should. I think it’s easier to be consistent, to say, look, I don’t think we should discriminate on the basis of race, of religious belief, sexual orientation, gender, anything of that sort. And certainly not on the accident of where somebody happens to be born. Then you can begin to imagine what kind of world could accommodate that principle. It might be a world that’s an enormous relief because it’s not just that people can move to where we are, where perhaps we don’t want them to move to where we are – we can move, our children can move. They have moved. Our ancestors moved. We can begin to transcend this attempt to freeze in a static position something which cannot be frozen in that way, which is the structure of a human society. The city of Cambridge in England will not look anything like what it looks like today as a society in two centuries time. San Francisco two centuries ago basically didn’t exist. What it looks like two hundred years from now will be almost inconceivable. Freeing ourselves and aligning ourselves with principles that actually make sense and are coherent and consistent allows us to imagine in different ways. And that’s just one of the examples. In your Guardian piece you wrote that writers are “the start-ups of the storytelling world”. I wondered what advice you might have for story tellers who were sitting down to write positive versions of what the future might be? For me as a storyteller, grounding things in the human is very important. So one can say things like, “How would the world be different if we were all treated equally on the basis of places of birth? What would that be like?” Or we can talk about if carbon emission were limited. Or if, as is the case in Pakistan, in my house we have battery packs that sustain us when the mains electricity goes out. Which it goes out for several hours a day – sometimes more than several hours. During that time your air conditioning doesn’t work, and some heavy appliances don’t work, but a light in each room works, and a fan works, and a couple of sockets work, and life goes on. And then if you imagine marrying that to a few solar panels on the roof, and the rapidly diminishing cost of both batteries and solar panels, it’s not hard to imagine a circumstance in which energy in the home is this considerably disaggregated, almost free thing. You invest in some basic apparatus to get it for you, and then you kind of have it. That’s a fundamentally different world to the world that we live in today, and it makes possible so many interesting new things, whether that be really reducing the effects of climate change, to rethinking the local. To rethinking what a local system looks like. Enormously more independence for the individual, for the community, for the locality. These kinds of stories are likely to occur. But what often brings them home to people is to ground them in the human. A person. Too often we speak of technology and the future really in the third person context. But what’s interesting is the first and third person context. What is it like when it’s happening to me? Or if it’s happening to you? As a novelist, that’s one of the things that I think novelists very often do – they tell these stories but they’re about actual people. And of course the people are fictional, but when a human being is reading a novel and taking those words up into their brain, in other words creating an experience which feels a lot like words but something lived, and imagined and human, that experience is an entirely different experience than being told that his or that is likely to occur. So, my advice to the storytellers, and of course there’s different kinds of storytellers, but my advice is in the face of this incredible amount of information that is being thrust at us all the time, clinging very fast to the notion of human empathy is fundamental to the power of storytelling. And the human potential is very important. Telling stories that make people feel as though actual human beings are involved.